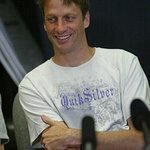 Fans of Tony Hawk will soon be able to get their hands on a special piece of the skateboarding legend’s personal possessions. AuctionCause.com is giving you the chance to bid on Tony Hawk’s Victory Kingpin 8-Ball custom motorcycle from March 1. The Kingpin 8-Ball is the classic modern cruiser, born out of a passion for throwing a leg over a raw, stylish bike and surging forward with a willing throttle. The blacked out bars, wheels and engine give it the down and dirty attitude of a motorcycle that can take on the distance without all the bells and whistles. 100% of the proceeds will benefit the Tony Hawk Foundation, an organization the skater set up to foster lasting improvements in society, with an emphasis on supporting and empowering youth. Through special events, grants, and technical assistance, the Foundation supports recreational programs with a focus on the creation of public skateboard parks in low-income communities.